We have been blessed with a few days of unseasonably hot weather. It has been 23 degrees this week which is what we would class as a good day in June, July or August….but it is still March! While the shorts got a rude awakening being pulled out of their winter hideaway 2 months early, the hot weather has put a spanner in the works as far as work in the garden goes. I had planned a week of potting on my flowers but it was too hot to work in the greenhouse – 38 degrees at one point on Monday. It was too hot to dig, too hot to wear wellies and everything is confused. My fear is that many of the flowers may die off with the frost that will inevitably arrive (probably in June the way things are going!). It is cooling down slightly now and after much consideration (ie what would be the easiest!) I decided to pot on my brassicas. This year I am growing red cabbage, white cabbage, cauliflower, brussel sprouts and brocolli. I am trying new varieties of white cabbage and cauliflower this year. I have gone for a variety of white cabbage called “Minicole” which produces a smaller head and can be left in the ground longer. The problem we had in the past was that all the cabbages were ready at once and they were huge. We would be eating them all week and had to give most of them away. 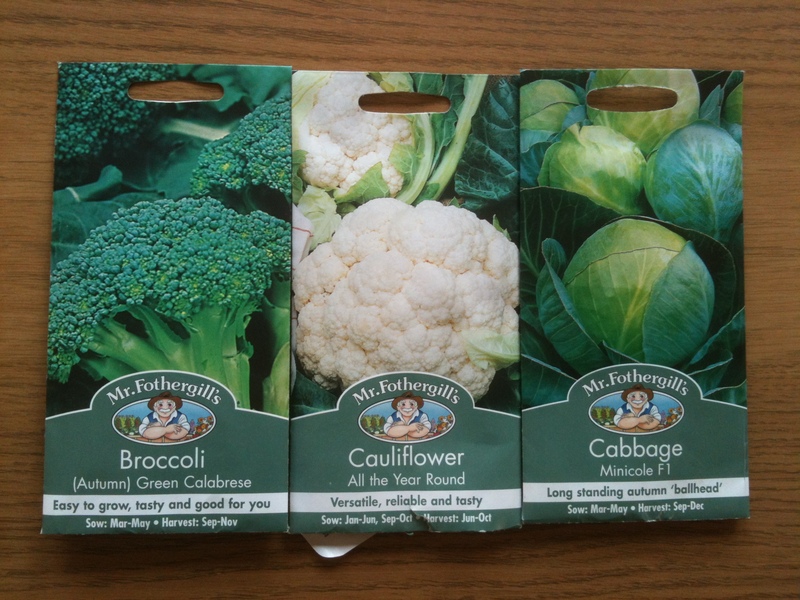 I am also trying an all year round variety of cauliflower and will try planting seeds periodically to extend the eating season. Again, there is only so much cauliflower cheese you can eat in a week. “Why don’t you freeze it?” I hear you ask. I tried. I freeze things then forget about them, find them 2 years later and throw them out! I need to start keeping a freezer inventory so I remember what I have. My next problem is I am too successful! Most of the seeds sown germinate and I have struggled in the past with getting rid of any plants. I pot them on then try to give as many away as I can but then find we are left with 30 or 40 plants which is just too much for two people. This year I decided I had to be brutal. 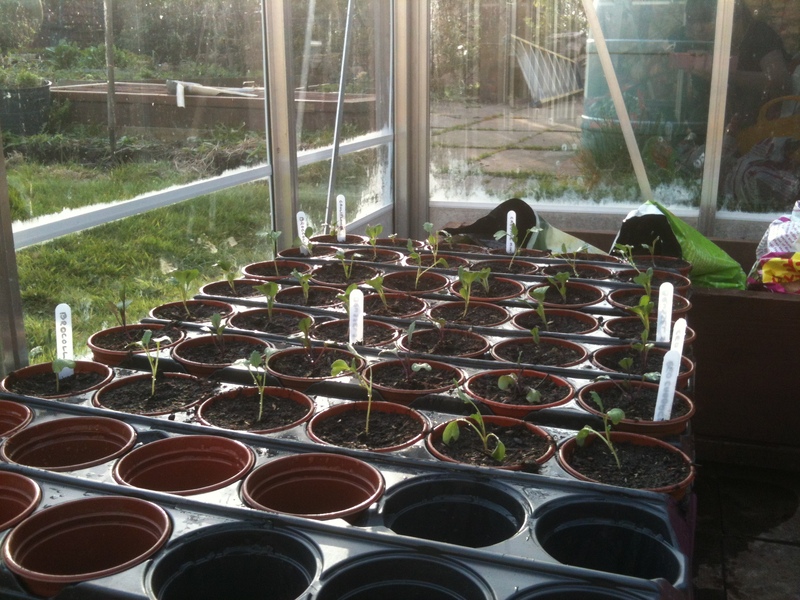 Only pot on as many as we will need with a couple of emergency plants in case we lose any. So I found myself holding X-Factor style auditions in the greenhouse, examining every seedling for signs of healthy stems and leaves and I even found myself lining up several specimens to see who had the best roots. Only the best made it through to the finals! I have kept 9 red cabbage, 9 brussel sprouts and 18 brocolli. The reason brocolli were shown some favouritism is because my friend is taking some but last year the brocolli stems were very spindly which meant we maybe had enough for 3 meals (from 12 plants!). I love brocolli so I decided to grow more of it. 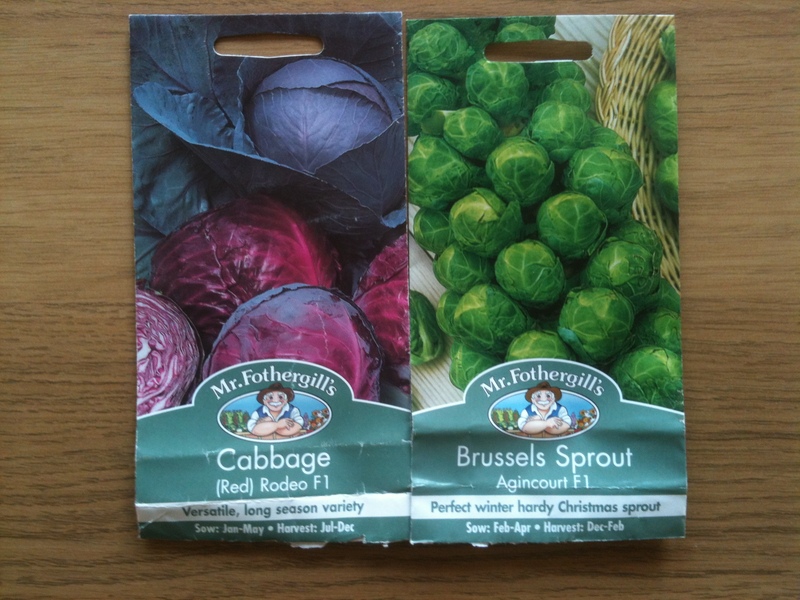 I used pots rather than seed trays to germinate the white cabbage and cauliflower seeds and was not very successful. I think something ate the cauliflower. I only had 3 cauliflower and 4 cabbage seedlings to pot on. I have sown some more today so fingers crossed! Here they all are in their new 3 inch pots. As I write, Mr Mac is laying slabs on which my coldframes will sit so by the time he is finished, these guys will be ready to go outside to harden off. What he does not know yet is that I plan to grown them in a new raised bed…….which he has still to make!